Chalet Angela is a lovely stand-alone building with easy access to the skiing. It is built over split levels so it feels light and airy and full of character, especially in the communal area which is open-plan and the lovely beamed, apex ceiling and huge picture windows give a feeling of space and light. As a former family home it has been lovingly looked after with comfortable furnishings and is a perfect place for relaxation after a day on the slopes. Located on the opposite side of Obergurgl to Chalet Christophorus, the nearest lifts to Chalet Angela are the Hohe Mut gondola and Rosskarbahn chairlift, both located some 500m away. To ease the early starts and to ensure that tired legs do not have to work too hard at the end of the day, transport will be provided (one trip in the morning and one in the afternoon). Otherwise it is just a 4 minutes’ walk to the piste and then a short ski down and you can ski to this place at the end of the day. It is also possible to walk back from David’s Hütte, a popular mountain restaurant at the bottom of the Steinmannbahn. This is approx. 8 minutes’ walk. The chalet is ideal for a small group or a large family. The lounge has comfortable sofas with TV/DVD and a snug with more seating is accessible by a few more steps. Large panoramic windows look out on to the mountains beyond. There are steps down to the dining area and kitchen where freshly prepared meals will be served with complimentary wine. All of the bedrooms have en suite facilities. There are two bedrooms on the ground floor and a suite on the upper floor with two bedrooms connected via a shared bathroom with a bath and separate shower. Entrance to the suite is via the bathroom. 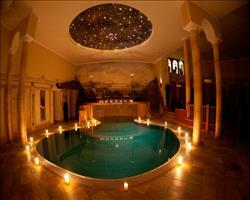 We are sure this chalet will be a popular choice so early booking is recommended. We update Chalet Angela's details often, but facilities do change. e.g. some extras listed by the supplier as "free" or included might only be for the first time you use them, or for one time per party, then charged for further use. If any specific feature is essential to your holiday, make sure you ask us to confirm the details of it before you book your holiday. This package holiday to Chalet Angela in Obergurgl, Austria departs Saturday 21st December 2019, for a 7 night stay on a "catered chalet" board basis. A local tourist tax (Taxe de Sejour or Kurtaxe) is levied by many councils in European ski resorts. It varies by standard and type of accommodation and is age dependent, so not everyone is charged. It's not included in the basic price of your holiday and is usually paid locally. For reference, the average charged in winter 15/16 was between 50p and £2 per person, per night. With some of Austria’s most snow-sure conditions, an easy-going atmosphere and bundles of character, it’s no wonder Obergurgl is known as the ‘Diamond in the Alps’. A favourite destination for family holidays on the mountains, this is a place to enjoy quality skiing accompanied by stunning vistas and age old Austrian traditions. Obergurgl lift pass price last reported as € 246,00 (adult 6 day). Ask for a quote when booking Chalet Angela. Obergurgl has NSEW facing slopes. Usually open for skiing November- May. 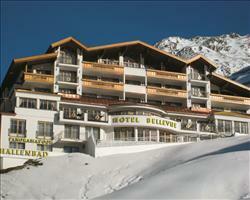 Hotel Bellevue Obergurgl Austria, Stansted to Innsbruck 21st December. 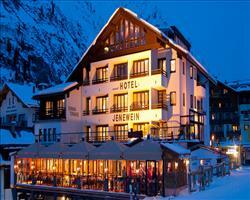 Hotel Jenewein Obergurgl Austria, Stansted to Innsbruck 21st December. 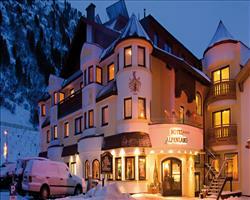 Hotel Alpenland Obergurgl Austria, Stansted to Innsbruck 21st December. Hotel Alpina-Sonn... Obergurgl Austria, Stansted to Innsbruck 21st December. 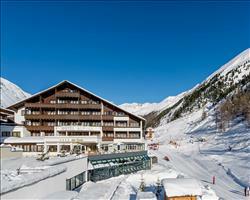 Hotel Gotthard Obergurgl Austria, Stansted to Innsbruck 21st December. 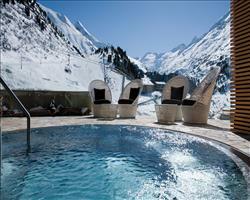 Hotel Edelweiss &... Obergurgl Austria, Stansted to Innsbruck 21st December. 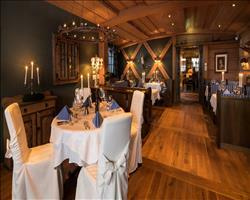 Hotel Alpina Obergurgl Austria, Stansted to Innsbruck 21st December. 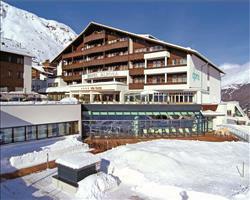 Hotel Bergwelt Obergurgl Austria, Stansted to Innsbruck 21st December.